Eva Lea Klein most recently served as a tailor at Banana Republic in Boca Raton, Florida. In addition to sewing and altering garments, she assisted customers who spoke Spanish or Portuguese. A native of Brazil, Eva Lea Klein frequently returns to that country to visit family. 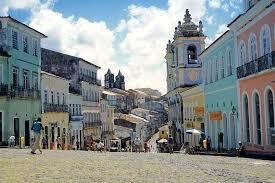 - Salvador: One of the oldest cities in South America, Salvador is full of colorful colonial architecture. Known for its celebrations, the city hosts the largest street carnival in the world. - Olinda: A small colonial town in the tropical state of Pernambuco, Olinda is filled with colonial churches, lush gardens, and brightly-colored buildings. - Ilha Grande: Located off the coast of Rio de Janeiro, Ilha Grande is an undeveloped and unspoiled island with clean beaches and numerous spots for hiking and snorkeling. - Gramado: This European-style town lined with chocolatiers and alpine chalets was heavily influenced by German settlers in the 19th century and now offers climbing, hiking, and wine tasting. Based in South Florida, Eva Lea Klein’s professional background extends to the 1970s, when she helped her father manage a department store in Brazil that her family operated. Eva Lea Klein’s employment activities in Florida have included a position with a Boca Raton Banana Republic retail store undertaking custom tailoring assignments. At the heart of the bespoke tailoring ethos is a tradition in which clothes are made according to an individual pattern, which combines pieces measured to specific parts of the body, from the waist and back to the circumference of the chest. A custom-made jacket will include measurements that define the armholes’ position and the degree to which the shoulders slope. Other defining characteristics include side and front balance, or how the body bends forward or stays upright when standing. Once these observations and measurements have been made, patterns are traditionally drawn on brown paper, beginning with a vertical line that signifies the jacket’s back. This line is not rigidly straight, but curves subtly to express the overall shape of the back, from neck to seat. 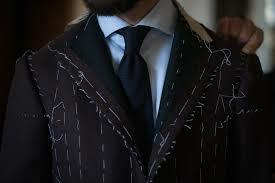 From this starting point, other aspects of the jacket are defined by the customer’s build and body type.